Christmas Eve is coming soon and he is checking his list. Have you been naughty or have you been nice? Join us as we celebrate that dear old man, Jolly Old St. Nick!! 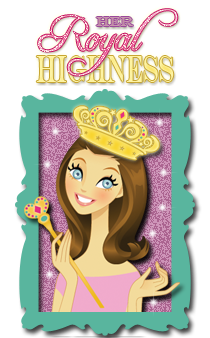 Connie Can Crop is the first stop on this Jolly Blog Hop. 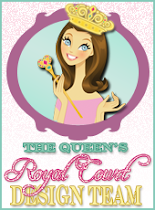 If you came from Julie Blog Simply Silhouette then you are on... the right path. for all of Santa's Helpers who are here sharing their ideas and creations. We have some awesome sponsors and giveaways for this hop! letting them know what you like best about their projects. Winners will be announced on Monday at Connie Can Crop. Down the Chimney we go!! You really knocked it out of the park on this one! That cut is just too cute! Love it! Super cute treat holder, but the action wobble makes it even better. Glad to be in this hop with you! Hi Theresa, Great treat box, I've never seen one made this way. The lime green is refreshing, Thank You for sharing your video! this is just so cute!!! I got my first ever action wobbles not too long ago....but haven't had any chance to do crafting lately!! can't wait to use them. your santa face is so adorable!!! What a fun idea! Your treat box is amazing!! Love the wobbler for Santa- too cute! 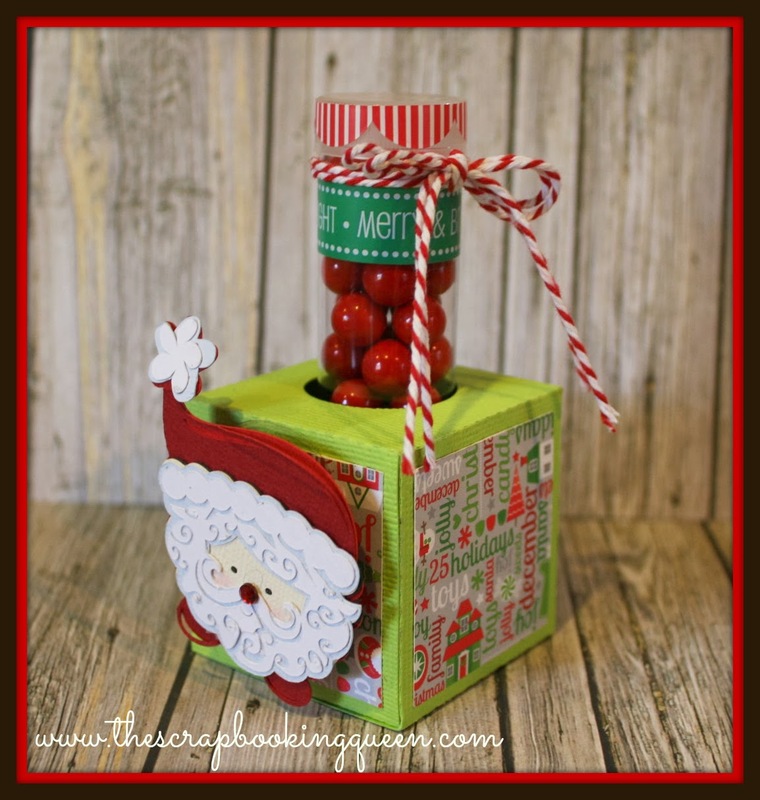 Oh how cute - love the treat container and your Santa is so darling - thank you for being a sponsor of this hop! 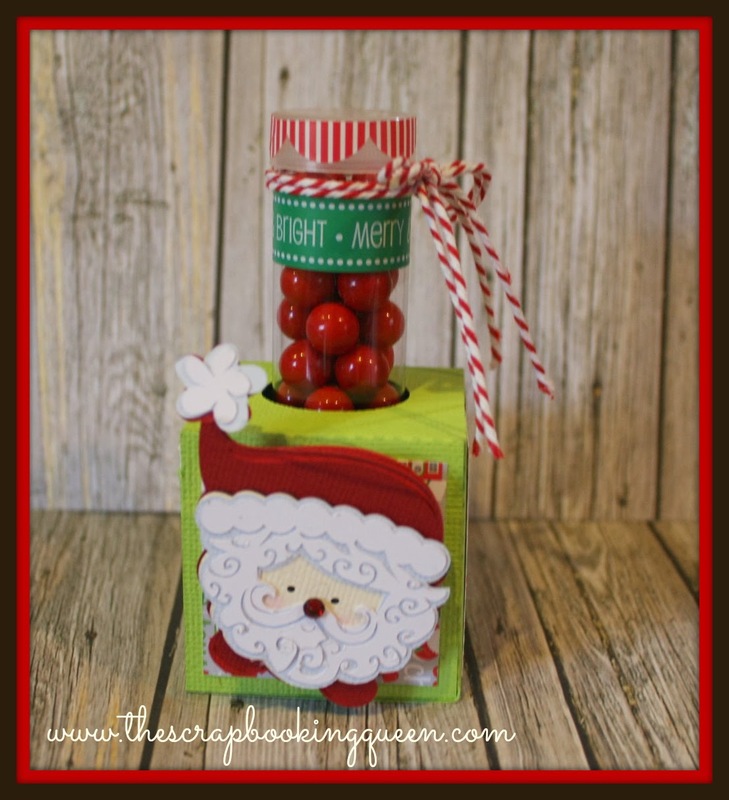 Super cute treat holder - love the Santa and the twine. Fun! This turned out great. Love the Action Wobble! I saw this ADORABLE treat on FB and had to stop by!!! Super cute!! Love the Santa! Too Cute, Love your little Santa. Super cute treat box and love that it is such a fun wobble. I love the wobble action & would have never thought of it on a treat tube holder. Thanks for the inspiration! I'm not a bloglovin & YouTube follower!! Very cute. Love the addition of the Wobble action button. Just make it all the more adorable. Love the action wobble! This project is just too cute! Your little santa is so adorable, and thanks for the recommendations of other blogs!